Islamist group calls on Iranian president to visit Strip after his October tour of Lebanon, however estimates say visit unlikely to take place. November 09, 2010 (KATAKAMI / YNET) — Hamas has invited Iranian President Mahmoud Ahamdinejad to visit the Gaza Strip on Monday. Ahmed Youssef, deputy Hamas foreign minister told Iranian news agency Fars that a visit from the Iranian president would lift the spirits of “the resistance front” as it did with Hezbollah in Lebanon last month. “We are certain his visit would be very significant,” Youssef said in an interview with the news agency. Iran has yet to provide an official response to the invitation, however such a visit is unlikely to take place as Iranian officials do not usually visit the Gaza Strip, despite politically supporting Hamas. 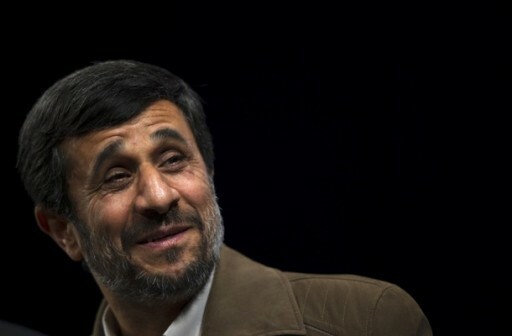 Hamas sources confirmed that Ahmadinejad had been invited to Gaza as part of Palestinian efforts to break the blockade. They told Ynet that the Iranian president had a positive response to the invitation. Nevertheless, Gaza elements estimated the visit is not likely to occur in the near future. 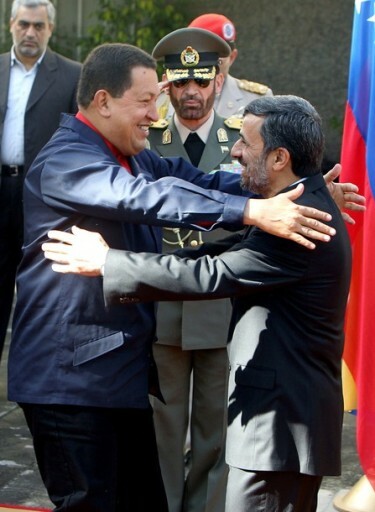 Last month, Ahmadinejad held his first visit to Lebanon, during which he met with Hezbollah Secretary-General Hassan Nasrallah. Tens of thousands of Lebanese rallied in his honor across the country including in Bint Jbeil and Kafr Kana. November 07, 2010 (KATAKAMI / RIA NOVOSTI) — Turkish Foreign Ministry confirmed Teheran’s plans to resume talks with the group of six international mediators over its controversial nuclear program on the territory of Turkey. The talks are expected to be held in Istanbul on November 10 or 15, Turkish Foreign Minister Manouchehr Mottaki said. “In the last two or three days, we informed our Turkish friends that we agree to hold negotiations in Turkey,” Mottaki said. The EU High Representative for Foreign Affairs, Catherine Ashton, said in October that Iran’s chief nuclear negotiator, Saeed Jalili, had agreed to resume the talks “in a place and on a date convenient to both sides.” She added that the talks would take place after November 10. Iranian President Mahmoud Ahmadinejad said in October Tehran was ready for a new round of talks but only on a number of conditions, including a comment by the Iran Six (the United States, Britain, China, France, Russia and Germany) on Israel’s nuclear capability. Talks between Tehran and the Iran Six came to a halt in 2009, after an IAEA resolution condemned the Islamic Republic over the construction of a second uranium enrichment facility. The United Nations Security Council imposed a fourth set of sanctions on Iran over its nuclear program in June. 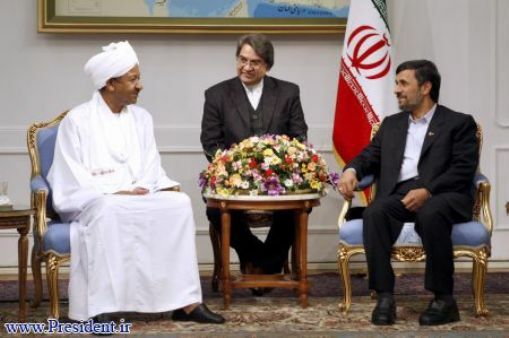 November 07, 2010 (KATAKAMI / PRESIDEN.IR) — President Ahmadinejad said: Iran and Sudan relations are brotherly and Iran with religious look will stand beside Sudan and an independent nations. President pointing to the enemies plots to create division and discord between independent countries, made the remarks: “The hegemonic system while do not allow Palestine even in their countries form referendum, encourage this issue in the independent countries such as Sudan, and even design plots for that which should tactfully stand against it. President said: “The claimants of human rights, freedom and democracy are as the former colonizers and slave owners which after defeat against nations struggle have struck the false mask of supporting the rights of nations. The Sudanese official praised Iran’s wise diplomacy on international issues and said all plots against the Islamic Republic have failed. November 01, 2010 (KATAKAMI / YNET) — Iranian President Mahmoud Ahmadinejad congratulated Dilma Rousseff on her election as Brazil’s new president. In a missive he sent to Rousseff, Ahmadinejad wrote that the last few years have seen major progress in relations between Tehran and Brasilia, and that he hopes that the cooperation between the two countries would continue throughout her term as president. October 17, 2010 (KATAKAMI / CNN) — Iranian President Mahmoud Ahmadinejad is taking a hard line ahead of nuclear talks scheduled for next month with world powers skeptical of his government’s intentions, local media reported Sunday. 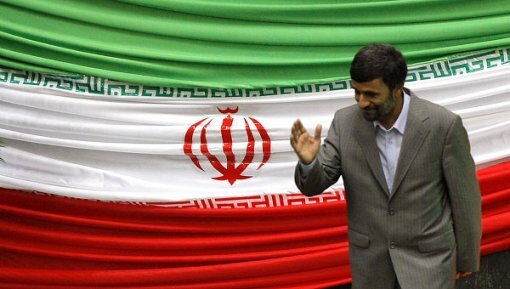 Ahmadinejad said that Iran is ready to hold talks, but warned that his country won’t yield any of its international rights to peaceful nuclear energy development, according to the reports. The United States and other world powers fear Iran is developing a nuclear program for military purposes. Iran has denied those allegations. “You should make it clear that what is your aim of negotiations, friendship or hostility? Do you want to follow logic or law or issue resolution and make threat?” the semi-official Iran Student’s News Agency quoted Ahmadinejad as saying. He added that Western powers should also pressure Israel over its undeclared but widely-suspected nuclear capability, ISNA said. Last month, Ahmadinejad said an Iranian representative would meet with the “P5 plus one” group. The group is made up of the five permanent members of the United Nations Security Council — the United States, Britain, France, China and Russia — along with Germany. Nuclear talks between Iran and the six powers have been stalled since October 1, 2009, when the two groups last met in Geneva. The EU has proposed the two sides meet again in mid-November back in Geneva. 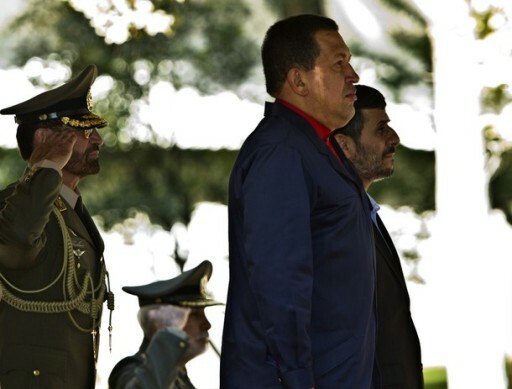 Manouchehr Mottaki, Iranian foreign minister, said Saturday that November 15 had been suggested for a meeting date. It may be a sign that Tehran is feeling the bite of increased sanctions imposed in recent months to pressure a return to talks. Iran is now subject to four sets of U.N. sanctions, while the United States and the EU have also imposed separate penalties on Iran over its refusal to stop enriching uranium. Still, Ahmadinejad said Iran is not weakening in its resolve, “They thought they can weaken the Iranian nation through imposing sanctions and posing threats, but Iranians have showed integrity, convergence and strength,” he told Press TV. Iran’s semi-official FARS news agency also released figures claiming that trade with the P5 plus one economies had actually jumped 12 percent despite new sanctions aimed at reining in Tehran’s nuclear ambitions. It claimed that during the six months since March 21, trade had climbed to $9.3 billion. China accounted for most of Tehran’s trade with the group. Imports fell sharply from the United States, but exports to America more than doubled to $77 million, leaving Iran with a small trade surplus with the world’s largest economy. Paul, who lives at an aquarium in Oberhausen, was presented with boxes adorned with the flags of the competing teams before each of Germany’s seven games in South Africa and the final between Spain and the Netherlands. Each time, Paul ate the food from the box featuring the flag of the team that went on to win. He’s now a global celebrity. Whether Paul is lucky, a genius or just plain magical, his behavior clearly resembled voting a bit too much for Ahmadinejad’s liking. The exercising of free will, even by an animal with the brain the size of a peanut, isn’t very palatable to a dictatorship. Last weekend in Tehran, Ahmadinejad, who routinely denies the occurrence of the Holocaust and threatens various infidels with nuclear annihilation, laid the smack down on his most threatening adversary yet. We all got a first hand look at the Iranian government’s “love of all sacred values” in the crackdowns following Ahmadinejad’s re-election last year, during which dozens of citizens were killed. Paul should be safe at his home in Germany. The aquarium where he lives has turned down offers for his purchase from Spain — where he’s now regarded as a talisman for picking La Roja to win the final — and Russia, where a bookmaker reportedly offered more than $100,000. Perhaps the facility will install extra security in case someone offended by an octopus tries something rash. There won’t be any more predictions, however. The Sea Life Centre said Paul will retire a winner and is finished picking games. “He won’t give any more oracle predictions, either in football, or in politics, lifestyle or economy. Paul will get back to his former job, namely making children laugh,” his handlers said. (IRAN’S PRESIDENCY WEBSITE) The United Nations Educational, Scientific and Cultural Organization representative to Iran has awarded a plaque of honor to President Mahmoud Ahmadinejad for revival of Shushtar aqueduct System. The award was conferred on the president after a ceremony held in Shushtar on Wednesday to mark the first anniversary of registration of Shushtar aqueduct system with UNESCO in presence of President Mahmoud Ahmadinejad. President Dr. Mahmoud Ahmadinejad has said that the cultural heritage of Shushtar, in Khuzestan Province, southwestern Iran, belongs to the international community and is a source of honor for the world’s peoples. He pointed out that this heritage should be revived so that the international community would come here and become familiar with the humane elevated Iranian culture. 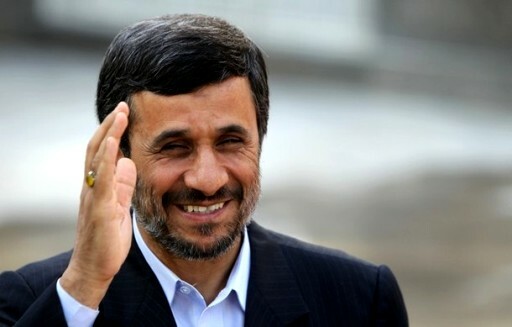 President Ahmadinejad considered monotheism, demand for justice, and reliance on science as the features of Iranian culture and civilization throughout the course of history and emphasized that today the world is in need of this culture and values more than ever, while their absence leads to confrontation, poverty, discrimination, massacre, and unforgivable crimes. UNESCO registered Shushtar Historical Aqueduct System last year as the 10th cultural heritage of Iran. Shushtar, Historical Aqueduct System, inscribed as a masterpiece of creative genius, can be traced back to Darius the Great in the 5th century B.C. President Mahmoud Ahmadinejad said here Sunday that Iran and Saudi Arabia should stand by each other because they have splendid position and share common interests and enemies. “Iran and Saudi Arabia should taje the side of each other given their common religion, outstanding position and common interests and enemies,” President Ahmadinejad told Saudi Arabia’s new ambassador to Tehran Mohammed Ibn Abbas al-Kallabi here on Sunday. The president said Iran and Saudi Arabia should have fraternal bonds for three reasons: First of all they are Muslim and follower of a common religion; secondly, both are main bastions for Muslims and thirdly they have common enemies. 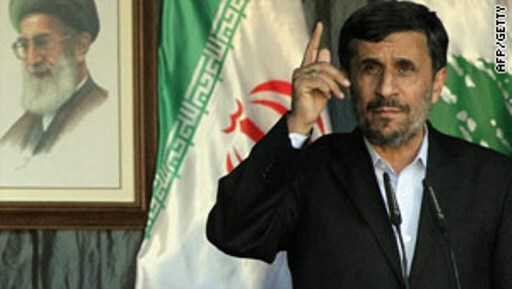 President Ahmadinejad also told the Saudi diplomat that there are extensive grounds for Iran-Saudi Arabia cooperation. “The cultural, religious, political, international and economic grounds and defense of rights of Muslims are the opportunities which both countries can seize for expansion of mutual cooperation. Absolutely, there are many enemies which do not wish closer ties between the two countries. We should be careful and nullify their plans. If Iran and Saudi Arabia stand by each other, enemies will not dare to continue aggression, occupation or pressurize world Muslims,” said President Ahmadinejad. Al-Kallabi, submitting his credentials to the President, said in turn that his country wants to have extensive cooperation with Iran, believing that there are ample subjects which the two countries should address through mutual cooperation. Undoubtedly, no body can affect mutual ties thanks to strong determination of the two countries’ officials to upgrade bilateral and regional ties and cooperation, he added. (FOX NEWS / AP) — Iranian President Mahmoud Ahmadinejad said Tuesday a nuclear swap deal brokered by Turkey and Brazil is a one-time opportunity that should not be missed. Ahmadinejad, speaking to reporters on the sidelines of a security summit, also said new sanctions against his country would be a mistake and that U.S. President Barack Obama stands to lose unless he changes his policies toward Iran. He did not elaborate. “Unless their policies change, Obama will be the first to lose, and then the U.S. government,” the Iranian president said. Ahmadinejad was speaking days before the U.N. Security Council is expected to vote to punish Tehran for its refusal to heed demands to curb its nuclear program. The head of the International Atomic Energy Agency on Monday singled out Iran for the first time as a “special case” because of suspicions it may be trying to make nuclear weapons. A senior Iranian envoy said Israel was the true threat to Mideast peace. Under the nuclear swap deal, Iran would deposit 1,200 kilograms of lightly enriched uranium in Turkey. In exchange, Iran would get 120 kilograms of nuclear reactor fuel. U.S. officials have criticized the agreement, in part because it does not stop Iran from continuing to enrich uranium. The U.S. also says the deal is a ploy by Iran to delay new international sanctions. Turkey and Brazil, both non-permanent members of the U.N. Security Council, are now pressing for an open “political debate” on the broader Iranian nuclear issue before a vote on new sanctions. Iran insists its nuclear program is purely peaceful, aimed at producing nuclear energy, but the United States and its Western allies believe Tehran’s real goal is to produce atomic weapons. 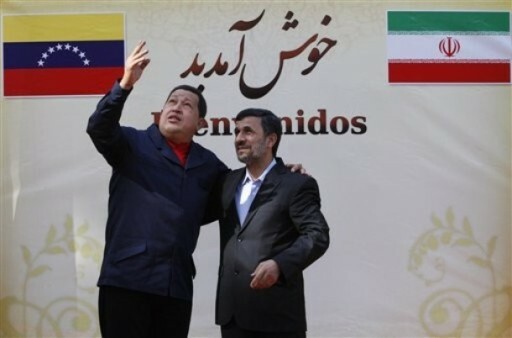 “We say: peaceful nuclear for all, nuclear bombs for none,” Ahmadinejad said.